Taking screenshots is one of the most common things you’ll do with your computer. You may want to record something you can’t easily save, and want it clearer than taking a picture of your monitor would yield.. Screenshots are also great for grabbing an error on your screen and sending it to a support person for help. In some cases, you can use them to tell a story. Today’s Basics article is about taking screenshots. Wait, what? Being Good And Useful Is Apocalyptic? In a series of odd, bordering on stupid news stories leading up to Microsoft’s end of support for Windows XP, another article has popped up from a tech press so totally out-of-touch with the real word of what they cover. Whether is be a “Windows XP Problem” or a full scale “Windows XP Apocalypse” – those still using Windows XP are in for a new kind of hell when Microsoft stops offering security patches for the operating system on April 8, 2014 (of course, assuming this isn’t extended). It seems abundantly clear to these folks that using these operating systems past available patches is akin to something like an extinction event. Sometimes Windows 7/Vista is not going to work on the computer you’re using. Sometimes you do, indeed, need to drop back to Windows XP. I had such a scenario for a client and the information available from Microsoft was cloudy at best (See, Microsoft IS investing in the cloud!). 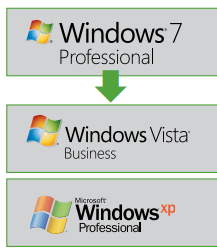 In this case, the client was running Windows 7 Professional x64 and required Windows XP for a number of his internal applications. 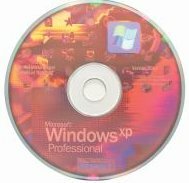 In this article I’ll explain what the “obtains and installs Windows XP” process entails and how much it will cost. It really isn’t easy for a little guy to get by. Allmyapps looks to be a Windows-Based application store more like iTunes than Ninite – but they really didn’t get any help when they went to Robert Scoble, and I guess I don’t blame Robert. A Windows app store? It seems like the guys at Allmyapps even know this themselves. Seeing all this, I was interested in the product itself – so I took some time to get to know it. The first try didn’t go so well since I couldn’t even install on Windows XP without an error.